This Irish Forget-Me-Not Pendant is from a range of handcrafted Irish Botanical Jewellery. 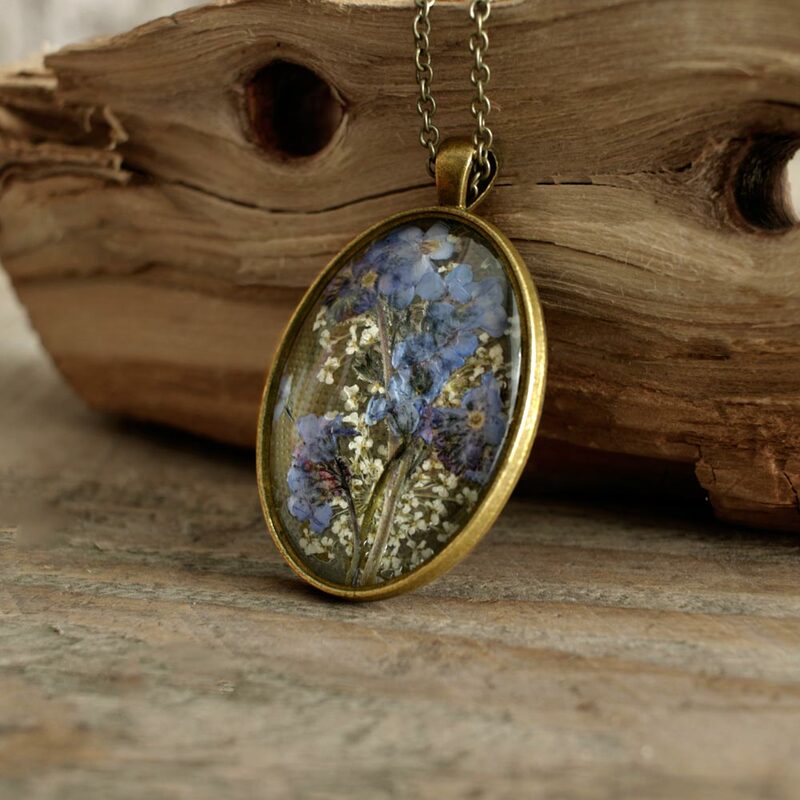 A beautiful antique style pendant with real Forget-Me-Not flowers and sprigs of Queen Anne Lace (also known as Wildflower Carrot) preserved and encapsulated into a vintage pendant setting. 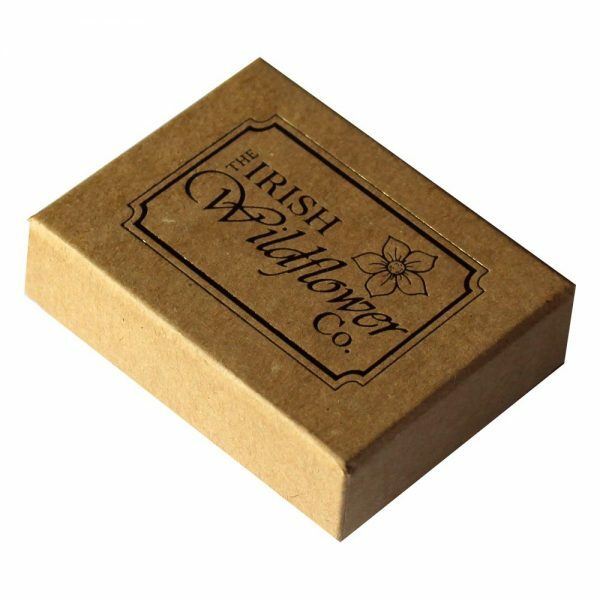 A timeless style for all ages, fabulous Irish Jewellery Gifts for Women. 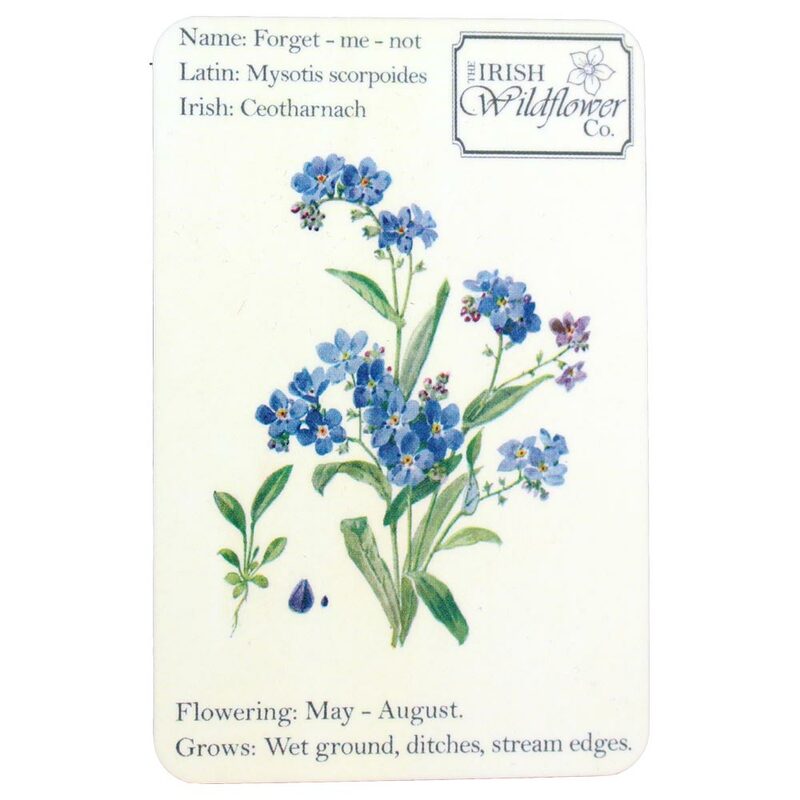 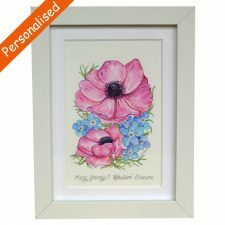 Presented in a lovely Irish Wildflower Co. gift box and with an information card on Forget-Me-Not. The Wild Irish Forget Me Not flowers of this Irish Forget-Me-Not Pendant are foraged on the flood plains of the River Liffey, then are traditionally pressed and set behind glass in a lead and nickel free metal alloy pendant. 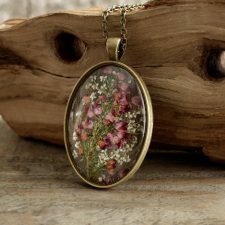 This Irish Pendant contains dried botanical specimens and when not being worn should be kept dry and stored away from direct sunlight. 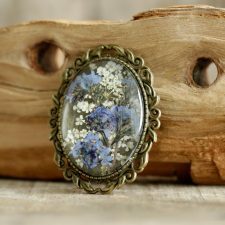 Because of natural components, pieces may differ slightly in appearance from the image shown, but will be of the same high quality and beauty.